For its relatively short history, Congress deservedly acquired the reputation of an authoritative and representative international forum. 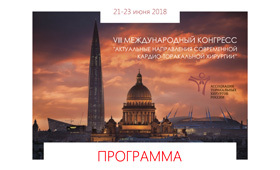 Leading Russian and foreign thoracic surgeons, anesthesiologists, endoscopists, cardiac surgeons, specialists of the respiratory medicine and nurses, as well as oncologists and phthisis thoracic surgeons are gathered on this event to share their experience on the banks of Neva river. As a tradition meetings are devoted to the multidisciplinary approach in the diagnostic and treatment of diseases of the thorax, to the newest achievements of the fundamental medicine and cardiothoracic service line management. European Society of Thoracic Surgeons will hold master classes and schools. This year we celebrate the 100th anniversary of the birth of academician of the USSR Academy of Medical Sciences E.A.Vagner, who was one of the founders of the strategy of assistance of chest trauma in the peacetime. A memorial lecture, school, symposium and round tables will be dedicated to his memory. One of the plenary meetings will be committed to the 50th anniversary of the first successful lung transplantation. As usual Congress will be filled with rich Programme. We wish you every success in your daily practical work, fruitful scientific contacts during the VIIIth International Congress «Current trends of modern cardiothoracic surgery» and unforgettable days in St. Petersburg. Dear friends! The Congress will start very soon. We remind you that registration of participants will start at 8:00 (June, 21) in the foyer of the 2nd floor and will continue throughout the Congress. The beginning of the scientific program at 8:30. We invite all participants to the opening ceremony of the Congress, which will be held at the State Academic Chapel of St. Petersburg at 20:00 (June, 21). The ceremony will end with a concert. 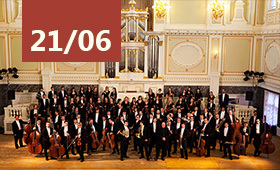 At the end of the concert buses will be waiting for the participants staying at the Crowne Plaza Hotel. 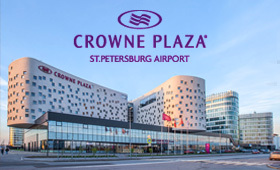 This is a unique hotel in St. Petersburg: the Pulkovo harbor, located in the immediate vicinity of the hotel complex, makes its location exceptionally profitable. The hotel is located in the business area of Pulkovo, which has a developed transport and social infrastructure. Nearby there are shopping and entertainment centers, as well as a 24-hour hypermarket. The Association of Thoracic Surgeons invites you to a friendly football match that will take place on June 23 at the Arena Nova sports complex (Grazhdanskiy pr., 100). We ask the players to bring their futsal shoes (with white soles) and leave a request for thoracic mail. 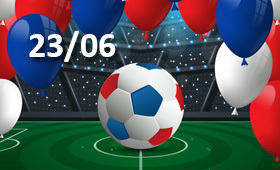 ru@mail.ru Fans are asking to be ready for a great game!